While there are literally half a dozen things you can do every week of the year in London, these are the ones to mark on your diary*. Every January London theatres offer tickets as low as £10/seat for over 50 shows until mid-February as part of their annual 'Get into London Theatre' annual promotion. 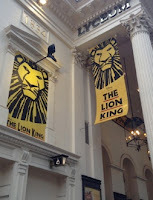 This offer is a great opportunity to see some fab shows – including West End hits Billy Elliott, Lion King and War Horse along with other off-West End shows such as Curious Incident and Once or fun musical ones like Jersey Boys and Thriller. Book* early to get the best seats. London Fashion Week (LFW) is one of the highest profile fashion events in the world and one of the ‘big four’ (New York, London, Milan and Paris). London Fashion Week is limited to members of the press, buyers or if you are a celebrity. 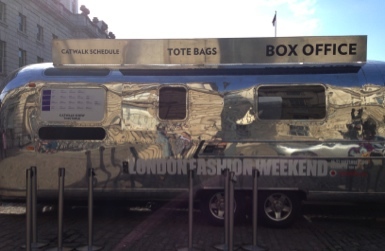 However, tickets for Vodaphone London Fashion Weekend, which follows directly from LFW, uses the same exhibition and catwalk venue. You can also add the designer shopping event to shop from designers of LFW caliber, from the high profile to the emerging and includes a ‘catwalk’ show. Go to soak up the atmosphere and inspire your wardrobe! 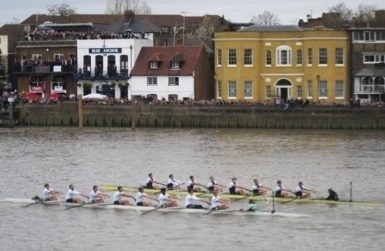 The annual Boat Race between Oxford and Cambridge Crews is one of the oldest sporting events. No ticket is needed — just turn up* and join the thousands who watch from the banks of The Tideway. The 17-20 minute race starts at Putney and ends at Chiswick Bridge. While you can watch from the bank (which has the convenience of food and drink), it is exciting to watch from the middle of Putney, Hammersmith or Chiswick bridges as the teams head to the finish.